A Teens 80s Totally Awesome Costume including a Dress, Leggings, Glove, and Belt – Ideal for a 80s theme, or any fancy dress occasion! Transform yourself with this incredible Teens 80s Totally Awesome Costume. This amazing Teens 80s Totally Awesome Costume comes complete including a Dress, Leggings, Glove, and Belt. This dress features a blue and black leopard print Top with an attached Green Overshirt, which features a geometric print design. The Dress also features an attached pink net Tutu Skirt with a black mesh overskirt to complete the Dress. This fantastic Teens 80s Totally Awesome Costume also includes a pair of black and pink Zebra stripe Leggings, a Black Mesh Glove, and a Black Belt to complete this look. 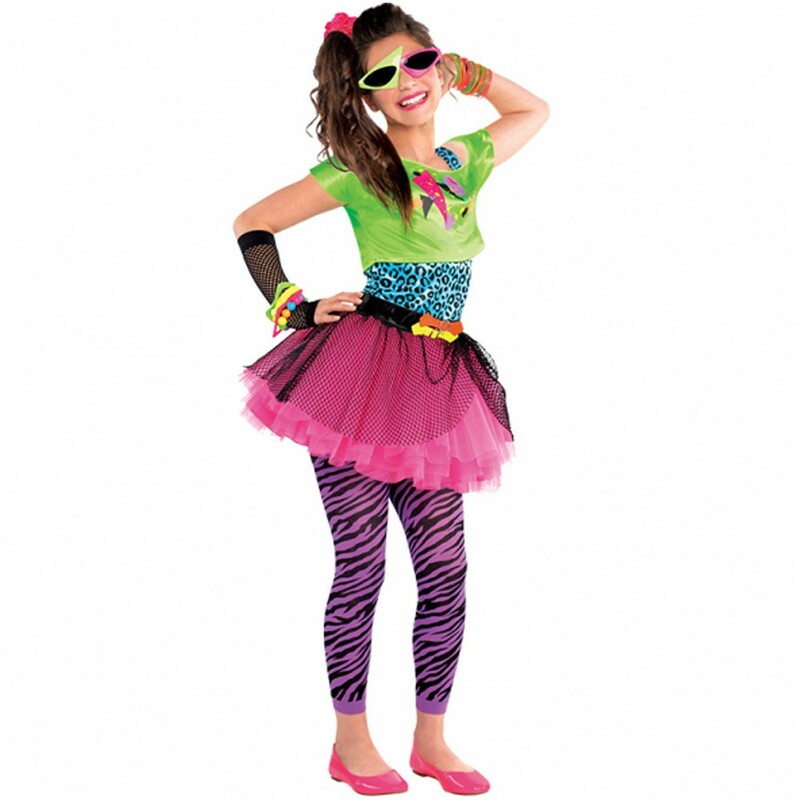 Perfect for a Decades theme, a 80s theme, a Neon theme, or any fancy dress occasion, this crazy Teens 80s Totally Awesome Costume will be sure to impress! So party in style with the brilliant Teens 80s Totally Awesome Costume. A Teens 80s Totally Awesome Costume.